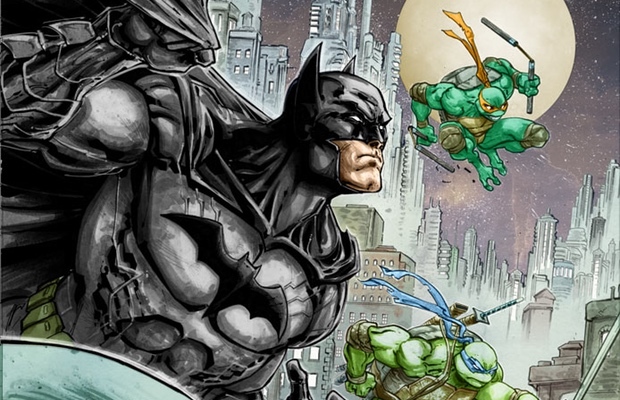 The day we've all been waiting for since our formative years has finally arrived: IDW Publishing and DC Comics confirmed at San Diego Comic-Con that the Teenage Mutant Ninja Turtles will meet Batman in a comic book series later this year. The comic book mini-series will focus on a Krang storyline where the TMNT villain transports the Turtles and Shredder to Gotham City, hoping to eradicate them from his life. 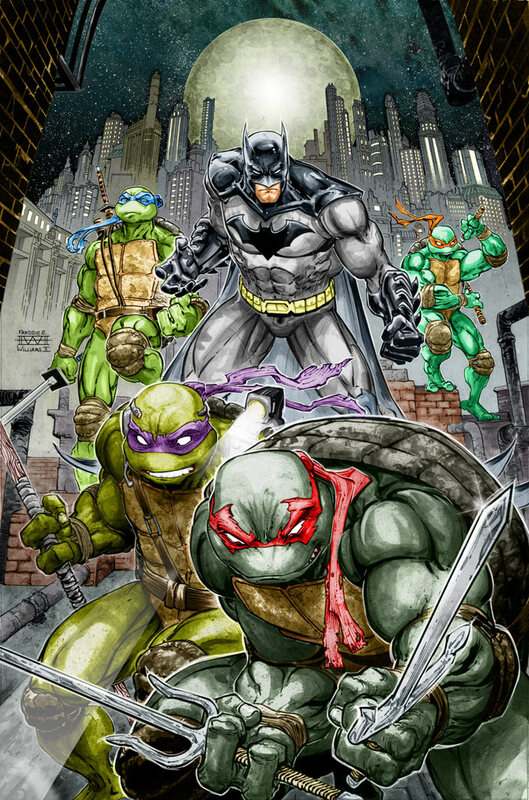 At this point, the Turtles meet Batman and they must team up to stop the Dark Knight's worst nemeses. The series will be written by James Tynion IV (Batman Eternal) and drawn by Freddie E. Williams II (Robin), indicating a strong Batman influence from the production angle. 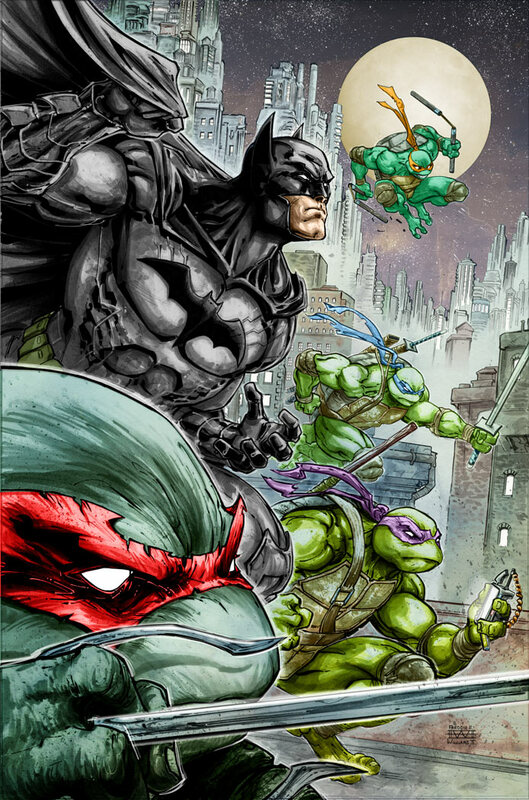 The comic series, simply dubbed Batman/Teenage Mutant Ninja Turtles, is set to release in November. How hyped are you for your childhood action figure dreams to come true? Check out some photos below, courtesy of IGN.